The Fly Girlz are a group of young MCs ages 12 to 14. The group includes Tamera (aka angel), Tyshana (aka pinky), Vernice (aka Lady Millz), Sharmaine (aka rose), Ameena (aka Sophia), and Ashli (aka Princess). All of them are students at the Brownsville Middle School PS 284. The Fly Girlz was formed at a 21st century sponsored after school program facilitated by long time New York City public school supplementary arts education providers LEAP (Learning through and Expanded Arts Program). The program began with 22 students. The fly girlz were the last 6 standing. 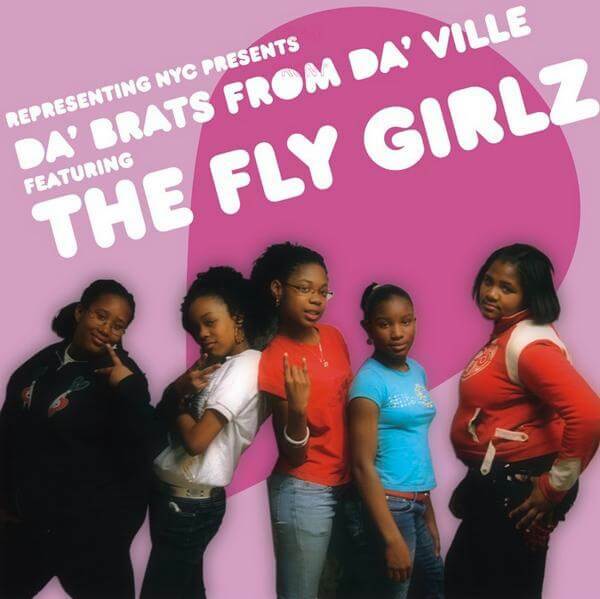 The Fly Girlz wrote and rehearsed for 6 months to author their first album “Da Bratz From Da Ville”. Overcoming social, and academic obstacles of all varieties the Fly Girlz offer us a look into their young but challenging day to day. Subject matter ranges from boyz to drive bys, from shoes to changing the conditions in which they are manufactured. “Da Bratz From Da Ville” is due out this March. The Fly Girlz continue their work at the Beacon Center for Arts and Leadership’s teen Action Program. They plan to reveal their stage show to the world at their record release party on March 13th, 2009, at New York’s New Museum on Bowery!